The RCF HDL System has a new member in the family: the RCF HDL 28-A. 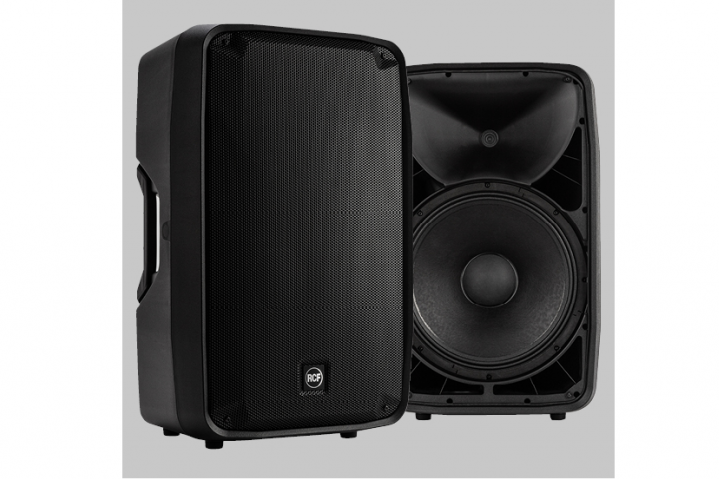 A compact bi-amped 2-way active touring system, it is designed for a wide range of applications, both indoors and outdoors, with an emphasis on vocal intelligibility. It features two 8-inch woofers and an impressive 3-inch titanium compression driver. 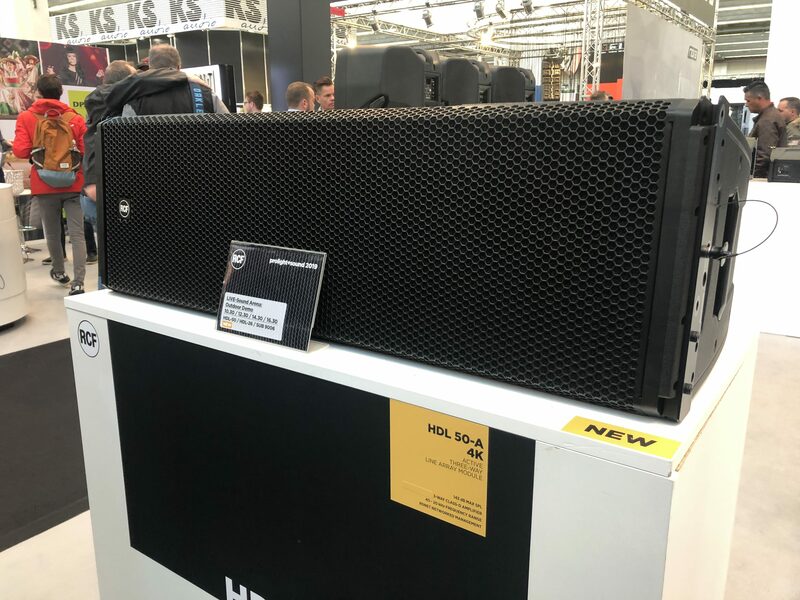 Following the HDL 30-A philosophy, the HDL 28-A shares the composite material cabinet, the zero-degree phase, and ultra-linear amplitude response. The built-in 2200 watt class-D amplifier delivers excellent playback clarity and up to 135 deciBel SPL max. The RCF HDL 28-A features state-of-the-art RCF transducers with lightweight neodymium magnets. Considering its acoustical power, it has a remarkably low weight for easy handling and flying. The RCF HDL 28-A features state-of-the-art RCF transducers with neodymium magnets. RCF’s experienced engineering teams have specially developed and matched each component — starting from the power supply through the input board to the amplifiers and transducers right up to the complete HDL 28-A System. The custom 4 PATH-designed waveguide allows precise coverage of 100 x 15 degrees, while also delivering an excellent, linear high-frequency response. The unique shape of the four ducts forming the guide creates an ideal isophasic load from 750 Hz to the highest audible frequencies. RCF’s Class-D power amplifier technology packs huge performance operating with high efficiency into a lightweight solution. HDL amplifiers deliver an ultra-fast attack, realistic transient response and impressive audio performance. 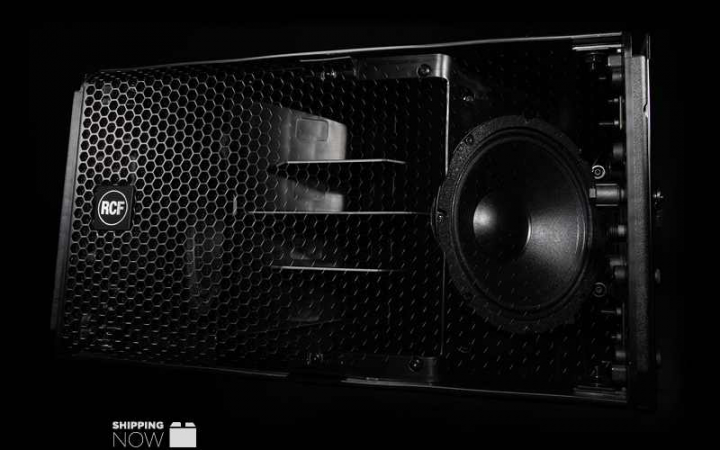 The amplifier features a solid machined aluminum structure which not only stabilizes the amplifier during transportation but also helps the fan-less heat dissipation. 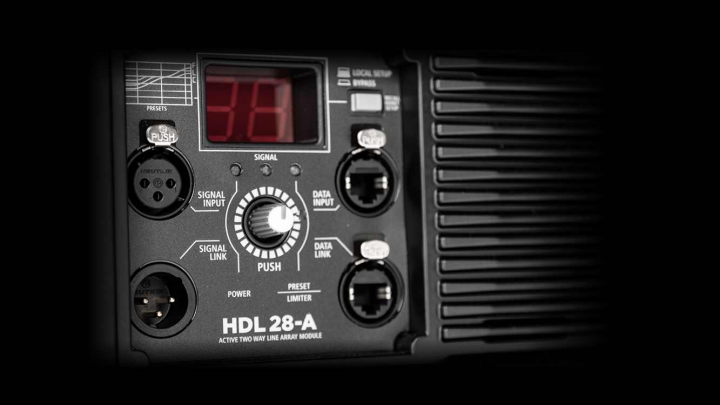 All the HDL amplifiers feature an SMPS power supply section to produce maximum output and minimum weight. The advanced rigging concept derives directly from its big brothers: the RCF HDL 30-A and HDL 50-A. The integrated mechanics are both fast and reconfigurable, allowing the system engineer to create J-shaped and spiral arrays. The hardware is designed for easy and fast setup. The angle can be adjusted on the ground before the system is hung and slipped automatically into the correct position as the array is pulled up. Up to 20 HDL 28-A modules can be fastened on a single flybar. The symmetrical design of the cabinet produces identical left and right coverage. The component positioning and special DSP crossover filtering of the HDL 28-A take care of the constant directivity without spots of break up or attenuation. The specially-designed front baffle provides coplanar woofers, controlled LF dispersion and a central space to host the 4PATH waveguide. The heavy-duty front grille is powder coated. A special transparent-to-sound foam backing inside helps to further protect the transducers from dust. For weatherproof capabilities, a rain cover is available. 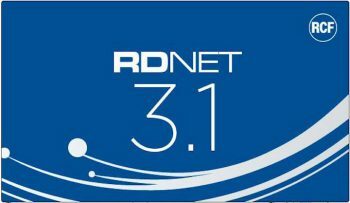 RDNet is a proprietary protocol for RCF products that provides straightforward monitoring and intuitive control of the audio system down to every single device/object. Each device has its DSP, giving the possibility to address specific presets or parameters change to single or groups of objects. A network user can change level, delay, EQ (including FiR) and other parameters like the advanced subwoofer configurations. Not only for loudspeakers: it is possible to control routing and parameters of multiple RCF devices, like digital matrixes or amplifiers. 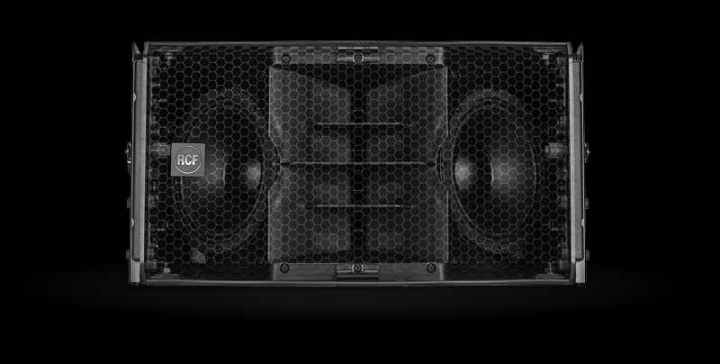 RCF speakers are designed by using FiRPHASE, a proprietary and advanced FIR filtering technology, conceived for delivering transparent sound, absolute clarity and perfect stereo images to the listener. The FiRPHASE algorithm optimizes dynamics, amplitude and phase patterns, ensuring at the same time minimum system latency.